At Central Industrial, our goal is great customer service that leaves our customers smiling. Because of this, we offer flexible solutions tailored to our client’s individual needs. 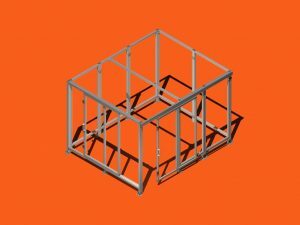 We model in Inventor and can provide drawings for a project based on a customer sketch or concept. We work closely with our clients to find a design that meets their needs while taking into consideration quality, cost and timelines. On the MiniTec side of our business, we can provide fully assembled solutions. 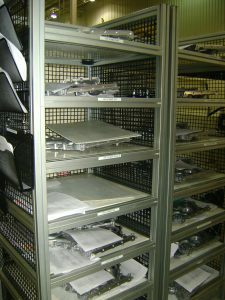 These include custom safety enclosures, workstations, parts dollies and much more. Click here to view our project gallery. We offer plastic fabrication services in house such as bending, custom cutting, drilling and glueing. 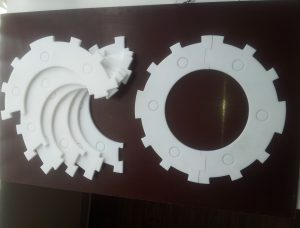 We can supply custom cut 2D shapes out of plastic or wood from .dxf or .dwg files. 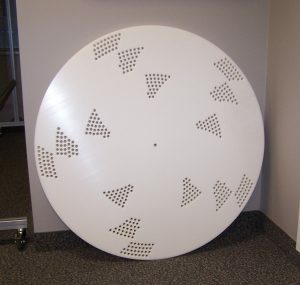 We can cut custom safety guards, star wheels, circuit board covers, table tops and other shapes.